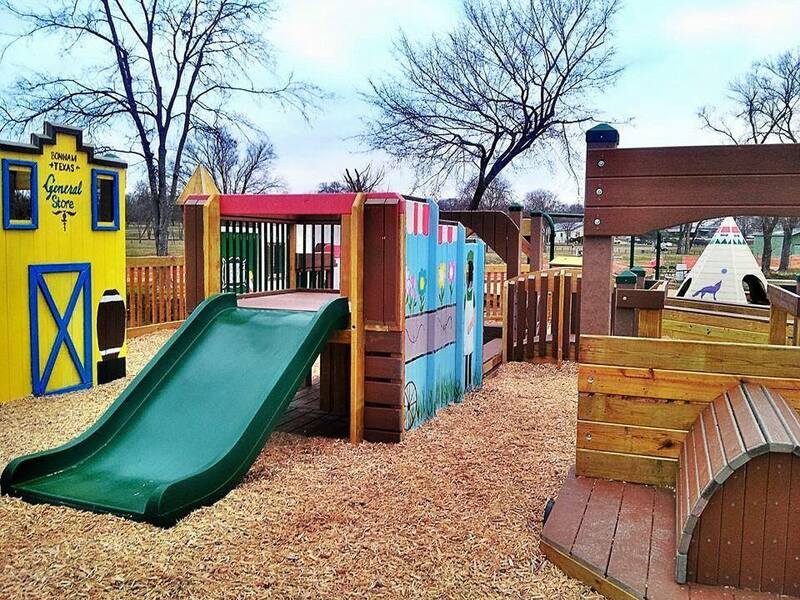 Powder Creek Playground is a community built playground at Powder Creek Park at 400 S. 5th in Bonham, Texas. Our playground was designed by Leathers Associates, with input from local children. It is a one-of-a-kind playground with several elements unique to our community, including an Alamo in honor of our town namesake, James Butler Bonham and a Warrior Head because its our high school mascot. Many thanks to everyone who volunteered to build our playground, as well as everyone who made meals and provided child care during Build Week! Thank you to everyone who loaned us their tools and equipment! We estimate we need to raise $121,000 to be able to build this playground. We have already raised $116,000 towards this goal (as of 3/9/14). More about finances. More about ways to give.